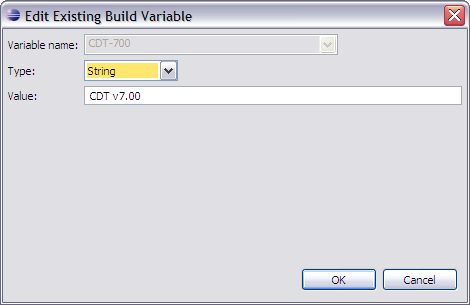 Use the Define a New Build Variable dialog box to add local build variables or the Edit Existing Build Variable dialog box to edit a previously defined variable. 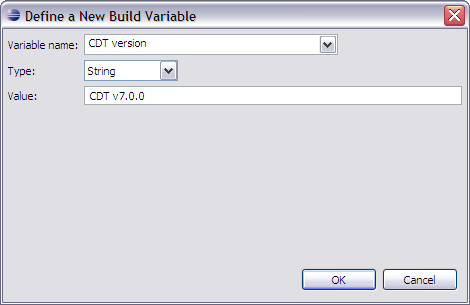 Both are accessible from the Build Variables preference panel. Variable name Enter the variable name. Type Choose the variable type from the available list. Value Enter or edit the value of the variable.